Coastal City Ballet has an exciting season of live performances for all audiences. From mixed repertoire productions including award-winning choreographies and world premieres, to full-length ballets with live orchestra to the most beloved ballet of all time, Swan Lake. This season offers more opportunity to see Coastal City Ballet at its best. Coastal City Ballet’s repertoire ranges from original story ballets to classical and commissioned contemporary works by established international choreographers. 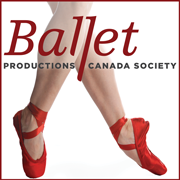 Since its inaugural 2011 season, Coastal City Ballet has successfully presented numerous productions to audiences in greater Vancouver and Regina, Saskatchewan including six full-length classical ballets as well as the staging of classical excerpts and commissioned world premieres.